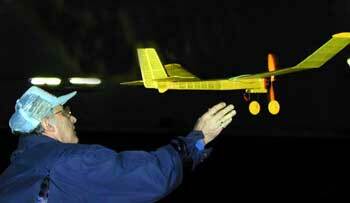 Zivko Rizoniko launches his own design indoor model at the very first EMFSO Indoor Flying Night in the Oakville golf dome, Winter 2000. 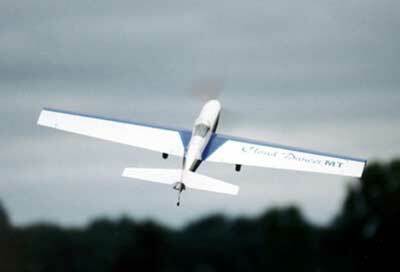 Marc Thomson's Cloud Dancer in action at the EMFSO George Ball Memorial Fun Fly. 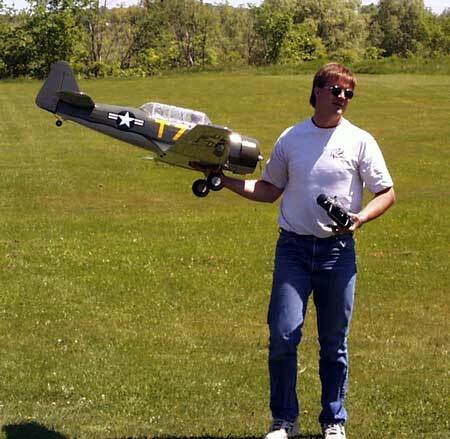 An extremely aerobatic plane. 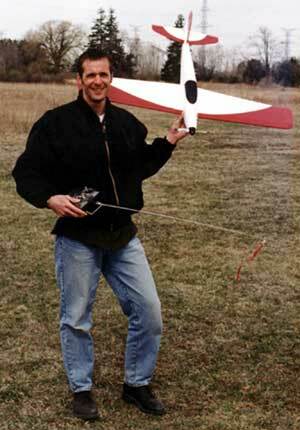 Robert Pike with his Astro 15 powered Fer-De-Lance. The Fer De Lance was originally designed by EMFSO member John Bec Hansen who then made plans available to the EMFSO. It was originally intended to fly on an 05 can motor with MA gearbox but flew beautifully on anything from an AF 035G on 6 cells to an AF 15 direct on 10 cells. 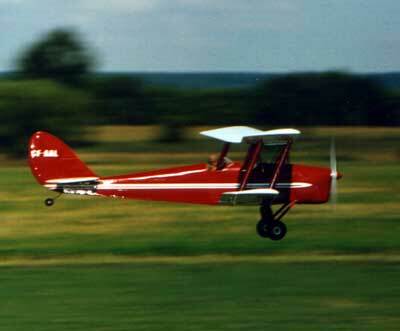 A very clean, aerobatic performer. 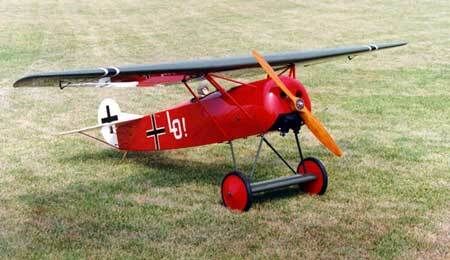 Keith Shaw's 1/4 scale Fokker DVIII at the EMFSO Goerge Ball Memorial Fun Fly. Chris McHugh's beautiful Tigermoth performing a fly-past at the EMFSO George Ball Memorial Fun Fly. Andre Wedseltoft with his AT6 Texan at the 1999 Oakville funfly.